Care Companion Programme is a healthcare programme according to which the family of the patients shall get better knowledge. This scheme is aiming to teach them how to better take care of the patients. This way the recovering patients can get back on their feet fast. It will also help create awareness and a better health for Punjab in future. 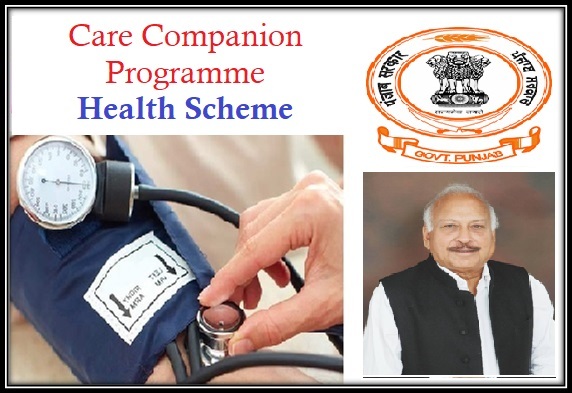 This scheme was launched by the Health and Family welfare Minister, Mr. Brahm Mohindra on 27th July 2017. The Health and Family welfare Department of the state has entered into a Memorandum of Understanding with the Noora Health India trust to make this scheme work. The latter is a non-profit health care organization. It mainly focuses its work on educating the family members and prime caregivers about care giving patients. This not only helps the patients but it also makes the population aware about proper methods of care giving at home to their loved ones. This scheme shall be implemented across six districts in Punjab. The hospitals in these major districts shall get the aid to benefit through this scheme. These six hospitals are chosen because the staff nurses there have already been given the teachings on how to engage the patients and their caregivers. The basic method is put in place. The main focus of this scheme shall be to teach families how to take care of their new born baby and how to take care of the mother who has just given birth to a child. The aim is to reduce the ratio of child mortality. Therefore families shall be taught how to take care of babies right after their birth and they shall also learn about mother’s post-natal care. The child and maternal health wings of Amritsar, Jalandhar, SBS Nagar, Patiala, Sangrur, TarnTaran hospitals shall get the benefit at first. The government hospitals in these districts shall be the ones that will get the benefits of this scheme. The main idea is to teach the family of the patient how to nurture and nourish the patient so that their health flourishes even after they have been discharged from the hospital. Child care is the main focus of this scheme therefore most of the teaching is focused on how to provide the child the utmost care and how to take care of the mother post delivery. The aim is to make sure that within the first 30 days post discharge, certain complications like infection are reduced. This shall reduce the number of baby deaths. Therefore the programme will come with many awareness classes including that of increasing hygiene of hospital, increasing the productivity of the nurses and so on. This scheme will work towards decreasing the burden of the hospitals as well. There are many patients who take re-admission in the hospitals because of improper care at home. This increases the burden on the hospitals. With this scheme, that has the potential to reduce down.